A functional, high-tech and comfortable space that offers a calm and private working environment. An eco-friendly conference room, ideal for meetings, that fulfils all corporate requirements. 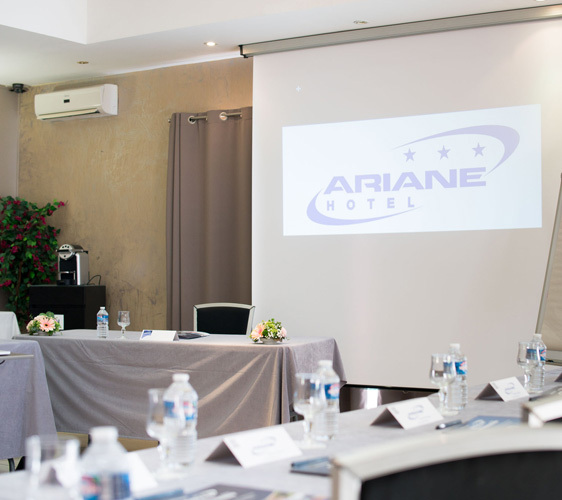 Midway between the Camargue, Provence and the coast, Hotel Ariane in Fos-sur-Mer is the perfect spot for business meals, training programmes and work events. 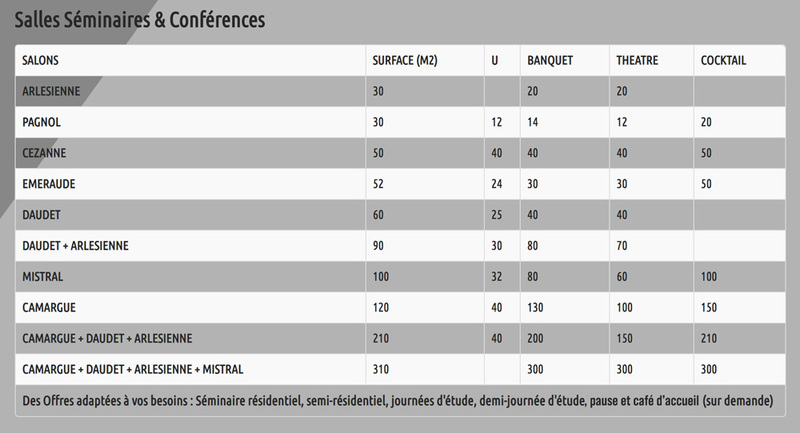 Hotel Ariane in Fos-sur-Mer also makes the perfect location for a Provençal wedding. 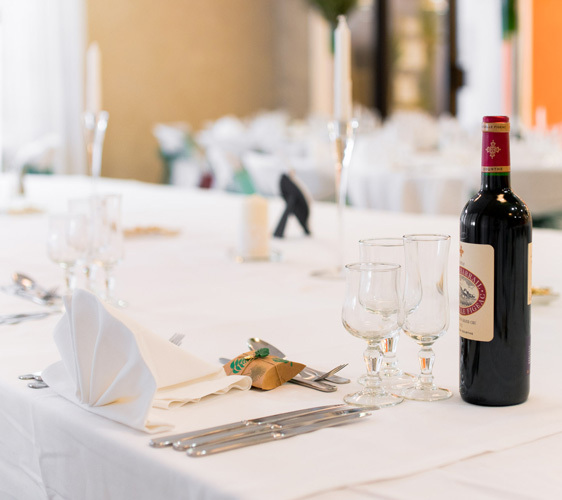 Close to the airport and the high-speed train line, the poolside garden is an idyllic setting for you and your guests.The ideal wedding venue with high-quality services provided. 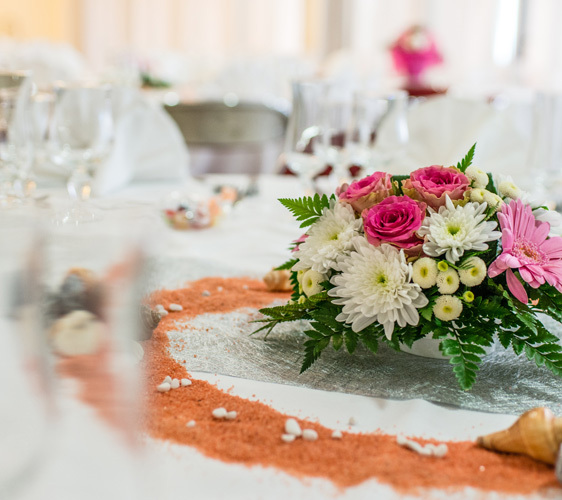 We work with a wedding planner who takes care of organising the event so that you can relax and enjoy your special day. 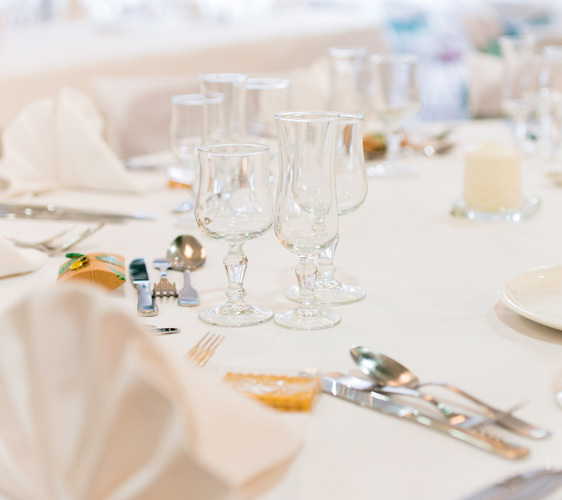 We tailor all our services to ensure you will have the perfect wedding, christening or other special event. The Ariane group is committed to sustainability. We can create your dream menu using only seasonal local produce. We are also very happy to host civil unions and other secular services. 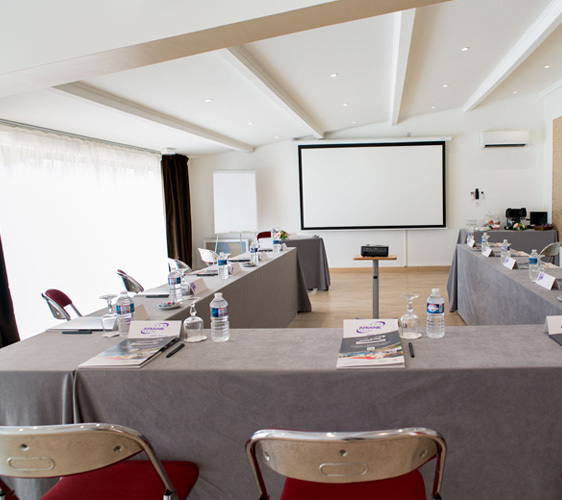 Our hotel in Fos-sur-Mer boasts state-of-the-art facilities so that every meeting attendee, from manager to employee, will have an enjoyable experience. We provide a high-speed internet connection to facilitate online exchanges and ensure your comfort. We offer your teams 450 square metres of space Our smiling and helpful employees will welcome you and help create a warm but professional working environment. All of our rooms have an exterior window, allowing the warm, Provençal sun to brighten the space. 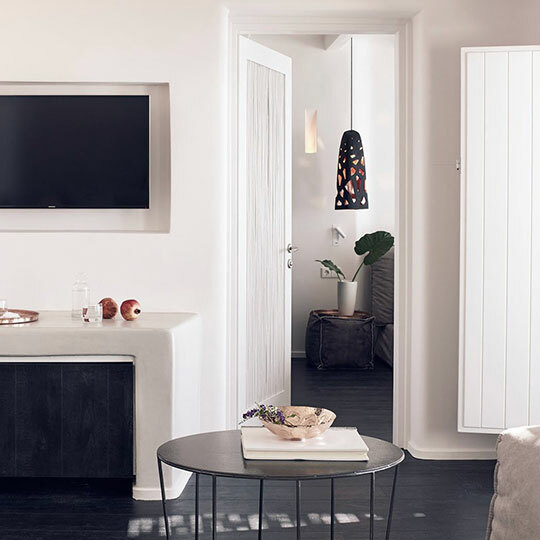 If the heat gets a little too much, all of our rooms are equipped with air conditioning. Flip charts are a useful tool at any business event. We ensure you and your colleagues will have access to one. If you require darkness for a video presentation, simply close the curtains to block out any daylight. No need to worry about the working conditions at Fos-sur-Mer: all of our rooms are fitted with a video projector and projection screen. 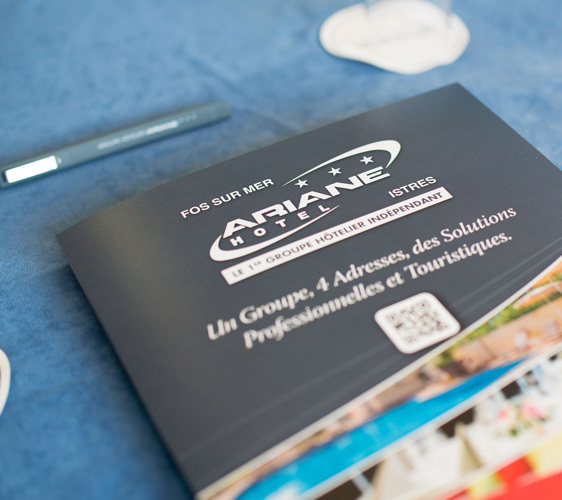 Whether you’re organising a training day, an incentive trip or presenting new products: Hotel Ariane in Fos-sur-Mer is the perfect location for any business event. We take care of all the organisation and provide the ideal environment for positive interactions with your partners and teams.